Finally, even if at least three decades too late, America’s politicians are beginning to take notice of the fact that we have become the country on the planet locking up more people than any other. 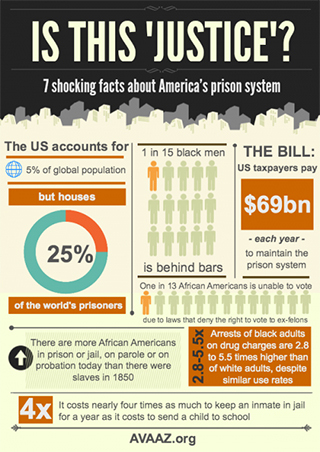 It would be nice to think that these elected officials are now discussing our historically unprecedented rates of incarceration because there has been some sort of moral awakening, some new degree of discomfort if not outright dismay that the United States now has more than seven million people, an overwhelming disproportion of whom are Black and Brown people, under some form of correctional control and more than 65 million marked permanently by a criminal record. It would be as gratifying if they were now reconsidering current justice policies because mass incarceration has orphaned millions of children, destroyed already fragile neighborhoods, and rendered millions of people permanently unemployable. At the very least it would be a relief to know that they were motivated to consider a less punitive approach to the nation’s social ills, because mass incarceration has distorted the very democracy they claim to hold sacrosanct. Too many of these elected officials, though, are willing to rethink today’s carceral crisis only because it has become so very expensive to maintain. 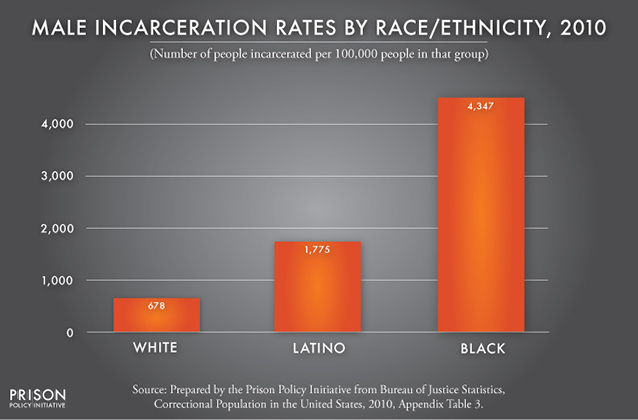 No matter what is motivating them, however, so many of us who have spent years now watching the horrific collateral consequences of mass incarceration play out, and those who have experienced this fall out first hand, are glad to see Democrats like Attorney General Eric Holder call for an end to mandatory minimums, and even Republicans like Rand Paul call for getting “smarter” on crime. At least, folks reason, we might be going in the right direction here. But are we? The reality is that this nation is at a major crossroads. Yes, the United States can indeed get smarter about operating its criminal justice system: for example, do a lot less policing of low level “offenses;” continue to decriminalize marijuana; even start relying more on restorative justice practices in schools. We also could simply stop sending people away for so long. And yes, doing all these things would both ease the realities of hyper-criminalization and mass incarceration that grind down so many, while also saving politicians some substantial money. These dollars could, at least theoretically, be spent in a much more humane manner. To rely on this plan, however, is highly risky. Any reform plan that is motivated by fiscal insecurity is perilous, because it depends upon economic crisis to get political buy-in. They very quickly lose momentum the very minute that purse strings are loosened and funding is freed up. To rely on this particular financially motivated reform plan is especially hazardous. There are, in fact, many ways for states to save money in the criminal justice system that have absolutely nothing to do with ending our nation’s true carceral crisis. One of the easiest ways for them to do so is just to make things much worse for the people who are serving, and will still serve, time. The truth is that getting too enthusiastic about today’s so-called “bipartisan move” to get “Smarter on Crime,” is not only risky, but also deeply, profoundly problematic. In short, the current criminal justice reform moment, in its various two-party permutations, has reckoned very little with either the human implications or the historical origins of mass incarceration. Therefore, it will be limited at best and, at worst, it will utterly fail. It is time, then, that the American Left makes the more meaningful fight against mass incarceration its central organizing and mobilizing issue over the next decades. This, however, might be a more complicated task than it may at first seem. The question of how exactly organizations on the Left might most effectively impact upon the crisis of mass incarceration isn’t obvious. Yes, leftists should be the people who constantly and consistently push every local, state, and federal reform effort to address the current system’s catastrophic human fallout in truly substantive ways. But what would this look like in practical, everyday terms? What coalitions must be built? What partnerships must be abandoned? Which must be forged? Further, we must also push the nation fully to understand the historical origins of mass incarceration–to see that this policy itself was rooted in racial as well as economic injustice and was a direct response to the efforts of those most oppressed to resist this oppression. But what is the most effective way to do this? How are mass audiences reached if one really seeks consciousness-altering discussion? We will also have to work hard to make sure that community, educational, and social service structures are rebuilt and refunded so that decarceration doesn’t mean utter desperation for those who return home. How is this done, though, without getting so embroiled in pushing politicians that energies needed to mobilize for a very different future, in which such structures are basic to all human beings, are not sapped? As complex and even overwhelming as the Left’s role in the fight to end our current carceral crisis seems, it is perhaps less daunting when we consider how logical this strategic move is and how impactful it really could be. In short, the very process of waging this struggle inevitably empowers every one of the other vital struggles that we already are waging. Indeed, it is time for us all to stop thinking of the crisis of mass incarceration as merely one of many serious crises facing this country’s poor, marginalized and oppressed populace. It is in fact an all-encompassing crisis that itself creates unemployment, deepens poverty, leads to evictions, increases community-level violence, intensifies educational disparities, distorts democracy, exacerbates racial injustice, and widens all inequalities. Ultimately, then, to focus organizational energy on today’s carceral crisis means taking on a central source of virtually all American oppressions and injustices. There is yet another really good reason for the Left to commit itself to this specific mobilization with particular focus and vigor. As history makes clear, the Left has always been vital to the success of this nation’s most crucial fights against injustice in the criminal justice realm. From the fight against the ultimate unfreedom, slavery, to the battles against the vicious convict leasing system of the Reconstruction Era, to the struggles against the racist justice system during the trial of the Scottsboro Boys, to the powerful defense efforts on behalf of the Attica Brothers, the American Left has been front and center. The Left has shaped the dialogue and determined what really was possible from 1814 to 1914 to 1944 to 1974. It is time to focus its extraordinary vision and commitment again on the justice system and commit itself to beating back the carceral crisis of 2014. We must be there to help shape this debate and we must be there, once again, to remind the nation what really is possible. Heather Ann Thompson is an Associate Professor of History and African-American Studies at Temple University, and the author of three books including Speaking Out With Many Voices: Documenting American Activism and Protest in the 1960s and 1970s.